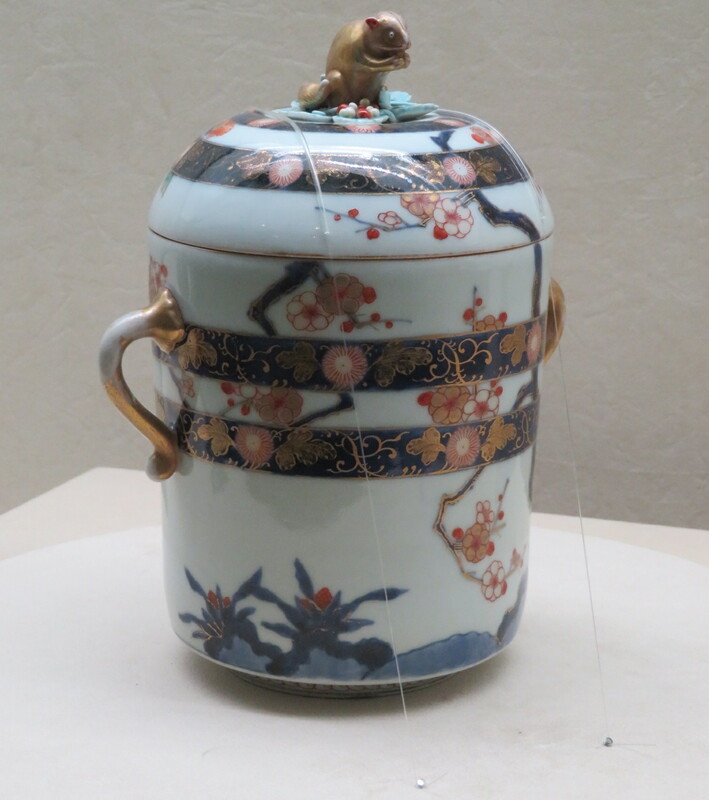 Japan’s porcelains have enjoyed international renown since the 17th century. The high quality of the porcelain itself and the shapes and styles of the dishes and figurines, combined with the various glazing and decorative techniques, have made them popular both at home and abroad. Perhaps one of the most opulent porcelain styles is kinrande, meaning gold brocade. This style of dishes features colorful overglazing finished with gold decoration. 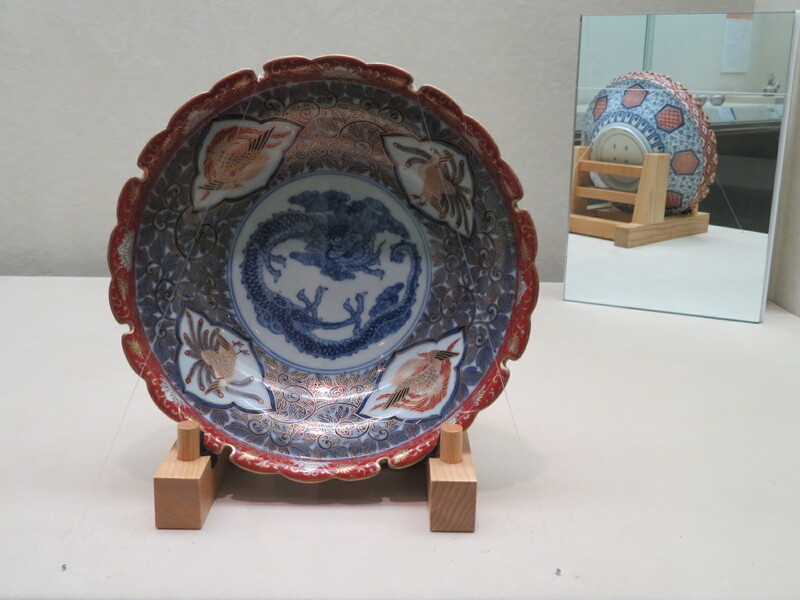 A style originally borrowed from China, in Japan it developed as a specialized form of Imari ware during the Genroku period (1688-1704), a time of political stability and economic growth lending itself to a flourishing of all things artistic. A special exhibit at Shibuya’s Toguri Museum of Art offers an opportunity to study a number of the finest examples of these beautiful porcelains and learn more about their evolution into an art form. The exhibit, entitled “Kinrande: Imari Ware that Captivated the World”, runs through June 21, 2018. 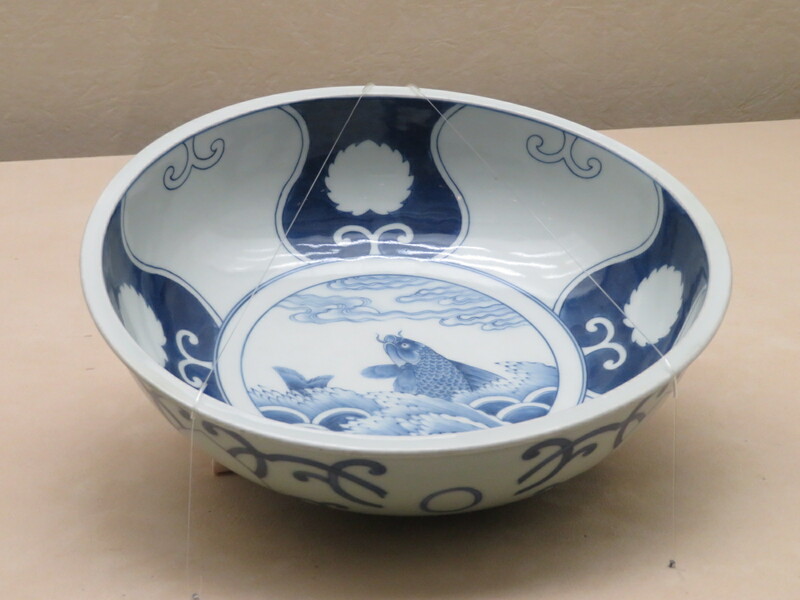 The exhibit begins with a rare example of partially finished work, containing only blue and white glaze. This work, in contrast to a finished bowl nearby, is a useful aid in understanding the multiple layers of glaze that go into the intricately-colored designs. 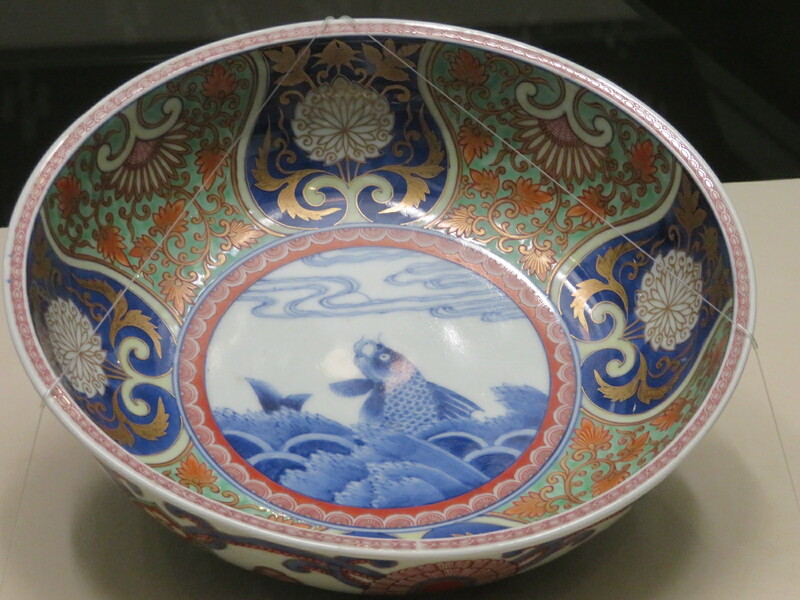 This early section of the exhibit also contains pairs of bowls of the same shape and with the same mikomi (round design on the bottom of the inside of the bowl), but which are otherwise quite different in their adornment. This kind of “variations on a theme” shows both the imagination and the skill of the potters. Chinese influence and certain decorative shapes themes originating in southeast Asia are also incorporated into the exhibit, allowing visitors to see how Japanese potters picked up these themes and made them their own. 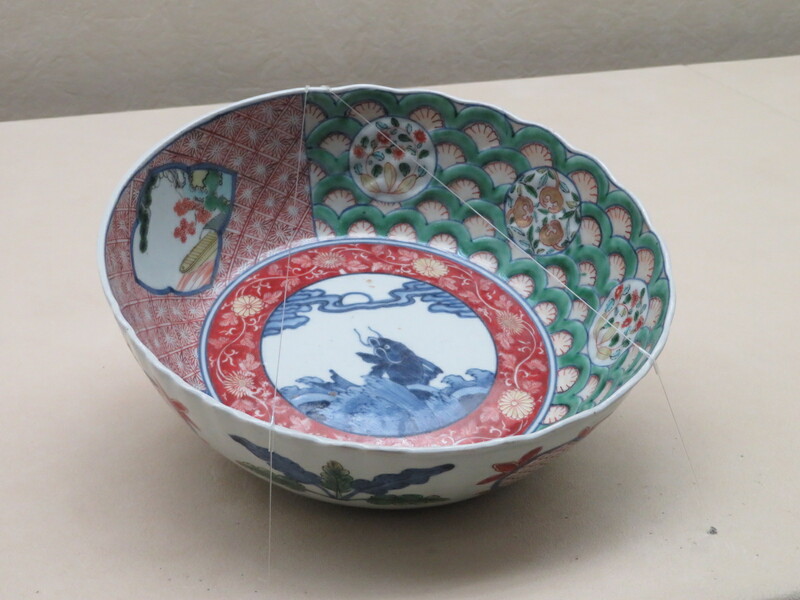 Sets of bowls from the early 18th century particularly demonstrate how Imari potters made use of a red circle, or aka-dama, as a decorative motif. Another aspect of kinrande porcelains is the proliferation of decoration on each piece. Often both sides of a dish are covered with intricate and colorful images, almost gaudy by today’s tastes, but surely awe-inspiring in their day, making them ideal for use when entertaining. In luxurious reds, blues and greens, designs include geometric patterns, flowers, animals and fish, mythical creatures, and people from various walks of life. The decoration is so intricate that only by long, slow inspection can one fully appreciate the artistry. Fortunately, the Toguri is a gallery that lends itself to such lingering. The shapes of dishes are also often quite fancy: fluted rims of various designs, square or octagonal dishes, even a set of peach-shaped plates and a bowl with a rim that looks like an archery bow. The latter half of the exhibit contains a number of pieces specifically produced for European export in the 18th and 19th centuries. Here the designs of the dishes become more suited to Western tastes, ranging from a goblet suitable for drinking wine, to shallow plates suitable for eating with a knife and fork, to lidded dishes my grandmother would have kept candies in. There are also a number of large pieces with no practical use, such as oversized plates and large lidded pots similar in style to Chinese ginger pots. These pieces are said to have been extremely popular as decorative accent pieces in the stately homes (even castles) of Europe’s nobility and upper classes. Japan had not produced porcelains of such large size for domestic use, but the ever-adaptable potters quickly learned to produce what their Western customers wanted. The exhibit also contains a few figurines in kinrande style. Another accommodation to the tastes of the Western market, some figurines are free-standing, while others are incorporated into dishes, often as lid handles. Especially whimsical is a little tea party taking place on the lid of a small dish. Nearby, a gilded squirrel nibbling fruit is the handle of a canister. The canister is painted with a tree, so that when the lid is properly placed, the squirrel appears to be sitting atop the tree. While the beauty of kinrande was always appreciated and valued in Japan, some late 19th century Westerners saw kinrande pieces as collectible l’objets d’art. Among the pieces in the exhibit are some originally collected by Anglo-Irish journalist/newspaper publisher Francis Brinkley (1841-1912), who lived in Japan for over 40 years and was a great advocate of Japanese art and pottery. Quality, as discerned by the designs and level of detail, and particularly the use of gold, was an essential aspect of collectible kinrande. By examining the Toguri exhibit, even an amateur can come away having acquired some of the expertise necessary to this task! The Toguri Museum of Art is devoted to collecting the best of Japanese porcelain art to promote its preservation and appreciation. 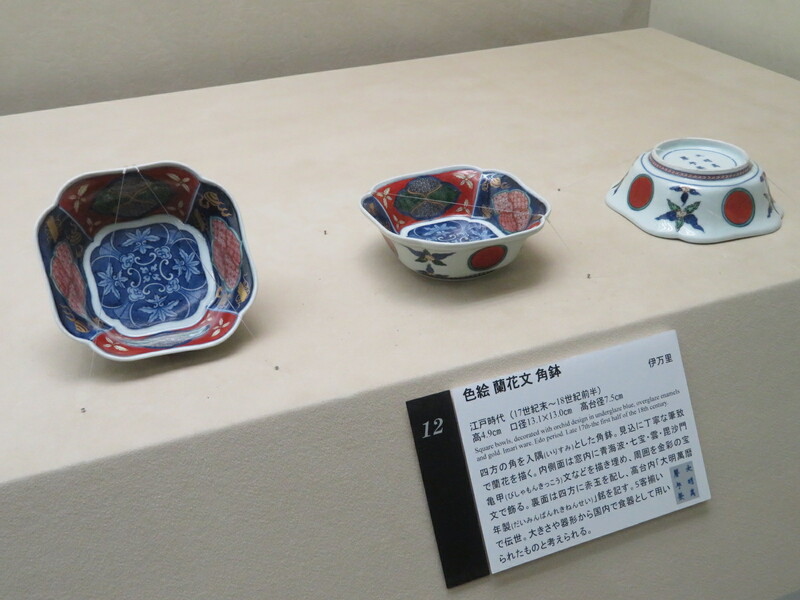 It hosts a number of special exhibits throughout the year, while also maintaining a wonderful permanent exhibit featuring beautiful unique pieces of Imari and Nabeshima porcelain. The special exhibits make this a gallery suited to regular return visits. Tuesday to Sunday 10:00 – 17:00 (open Fridays until 8 p.m.); last admission 30 minutes before closing. Closed Mondays except the fourth Monday of the month, which is “free talk day,” when patrons are welcome to talk freely in the gallery without worrying about disturbing others. Admission: 1,000 yen (adults); 700 yen (high school and university students); 400 yen (primary and middle school students). Get a 200 yen discount coupon here. Photos taken with special permission of the Toguri Museum of Art. Simply wonderful work. Many thanks for the superb photos and write-up.